I know it shows Tim Staples and Jerry Usher, but the first half of this video is my show Q & A for Non-Catholics. For other listening options, click here. 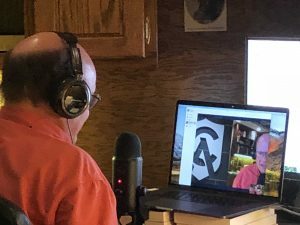 From those who oppose the Catholic Church to those who are thinking about entering, in this show, we take a break from talking with Catholics while Steve Ray answers questions about the Faith from non-Catholics. 07:41 – I think of the Holy Trinity with respect to humans as body, soul, and spirit; three parts but one whole. Is this an acceptable way of thinking of the Trinity? 18:59 – I’m wondering if my Protestant marriage is recognized? Will it need to be recognized if I become Catholic? 22:04 – I recently listened to four Catholic homilies and none preached about the love, grace, or mercy of the cross. I heard on EWTN that the main duty of a priest is to proclaim the gospel, so what’s the deal with these parishes and priests? 30:40 – Did Mary need Jesus’s sacrifice if she was sinless? 45:30 – What are the top three books that you would recommend about the importance of being Catholic over a Protestant? 49:54 – I believe in God the Father, God the Son, and God the Holy Spirit, is my understanding of the Trinity wrong? Good day Mr. Steve Ray! We have a concern regarding the many statues of Saints and Mama Mary and Jesus all over the Philippines. It seems the Filipinos are exaggerating with those statues and images. What is your say to this? Is this against the second commandment of God that we should not make any graven image of the heaven above? Thanks for your questions and comments. I am also posting this response in the comebacks on my blog. I have been to the Philippines six times doing large conferences, parish missions and talks and lots of evangelization an apologetics and Bible teaching. One of the things that I learned about the Filipino people is that they are easily susceptible to Protestant groups (mainly from the United States) to come there and try to trick Catholics into leaving the Catholic Church. The whole issue of “idols“ is one of their trickiest methods. First, I would suggest you write God a letter and asked him why he commanded the Israelites to violate the second commandment. You can see this clearly here (Exodus 25:18-20) and here Numbers 21:8-9).